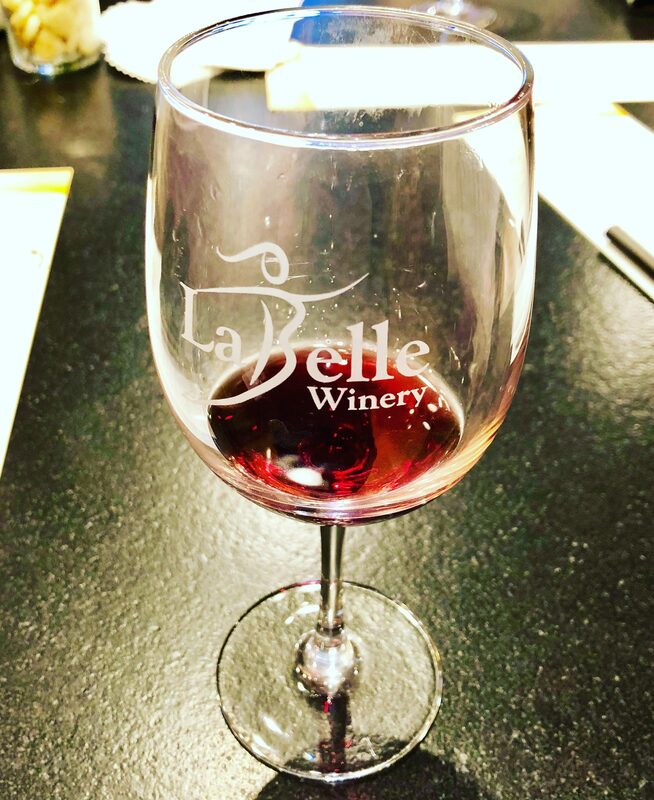 La Belle Winery, Portsmouth and Amherst, NH – Breweries, Wineries and the fun in between! 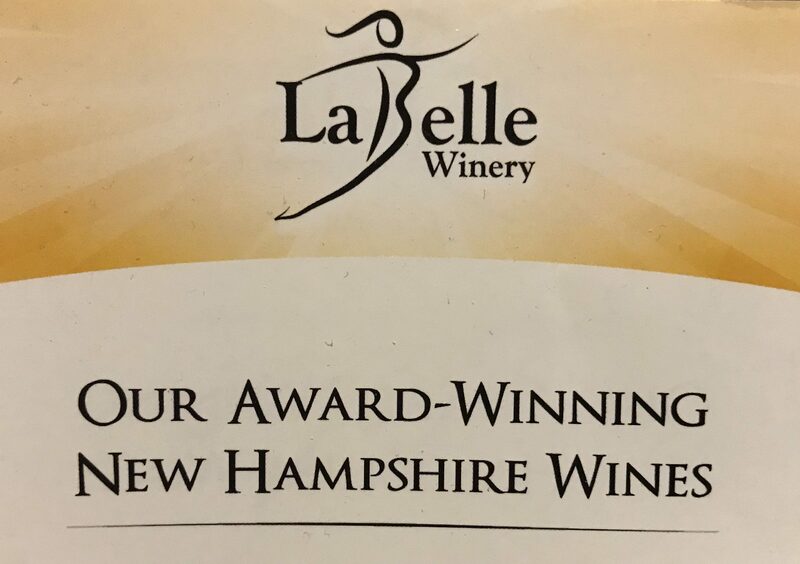 La Belle Winery is one of the bigger and more well known wineries in New Hampshire. They have been officially producing wine since 2012. 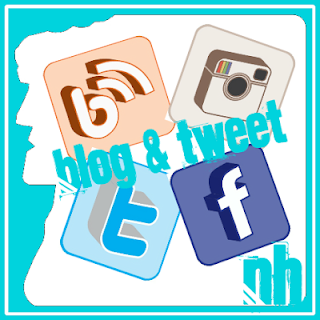 Their main space is in Amherst, NH where they produce the wine. They also have a Bistro that does lunch and dinner, a large event space and what was their only tasting room, until recently. 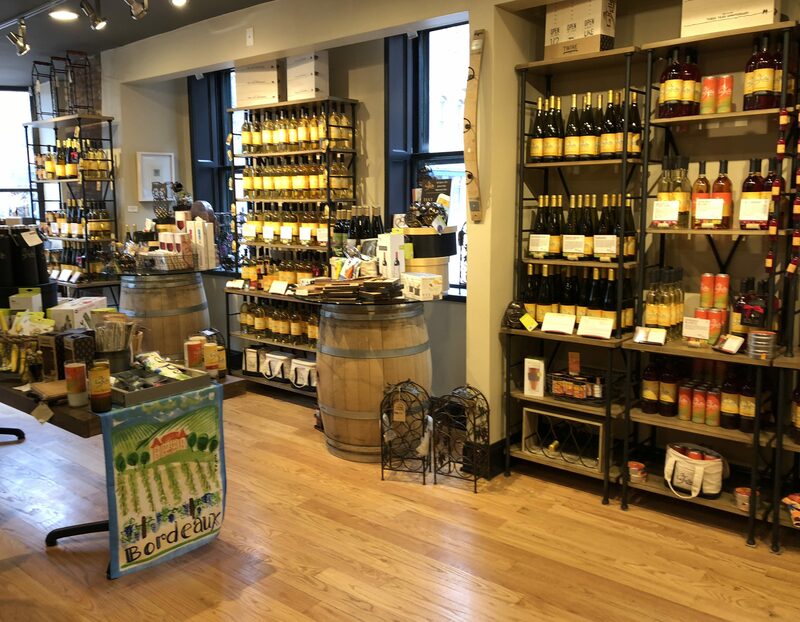 In January of 2018 La Belle Winery opened a Portsmouth, NH tasting room and store. 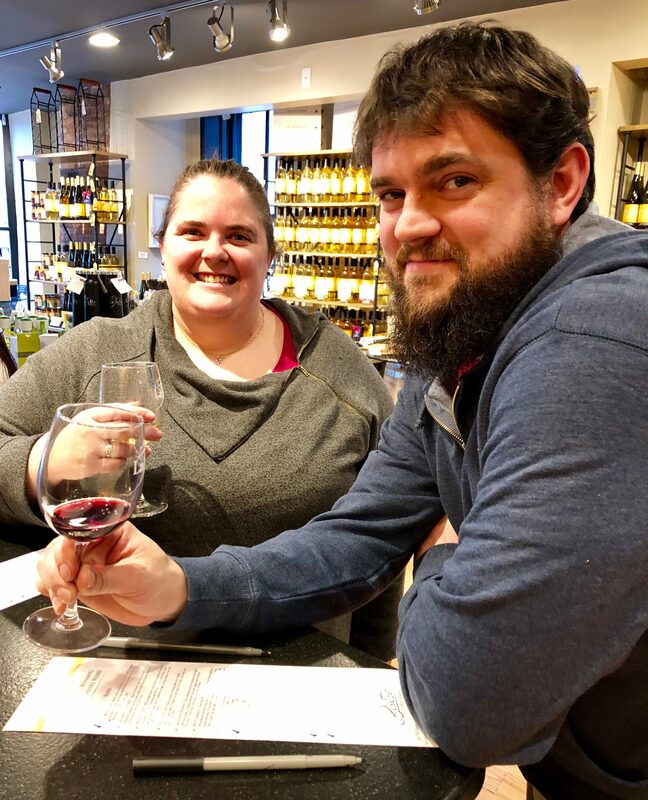 This is not the first time we have seen a winery open a city tasting room location. The tasting room is much closer to us so we went there with Mark’s sister Michelle. We were too busy tasting wine too take many pictures. They do flights of 5 wines for $10 and flights of 10 for $15, at both locations, so we each did a flight of 10. Between the three of us we tried quite a few different wines. Dryer than Mark was expecting, even though Dry is in the name. Nice aroma of apples, dry throughout. A crisp wine wine with citrus notes and a clean finish. Dry and fruity, Marked liked this better than the apple. Described as similar to Chardonnay, oak aged and clean, Megan thought it was just ok, not her style. We all tried this wine. Fruit forward and tropical, and a little on the sweet side. We liked it. Not sweet, but a complex flavor, both Mark and Michelle agreed and liked it. Complex and aromatic as they described it, floral and honey notes, on the sweet side but not too sweet. Michelle got this and did not like it, and apple wine with maple syrup. Mark agreed it was not a great mix of flavors. This is 50% apples and 50% cranberries. Perfect blend of these too fruits, not too tart or too sweet, but a little bit of both, pretty tasty. Another fruit wine Mark picked that was a little too dry for him. 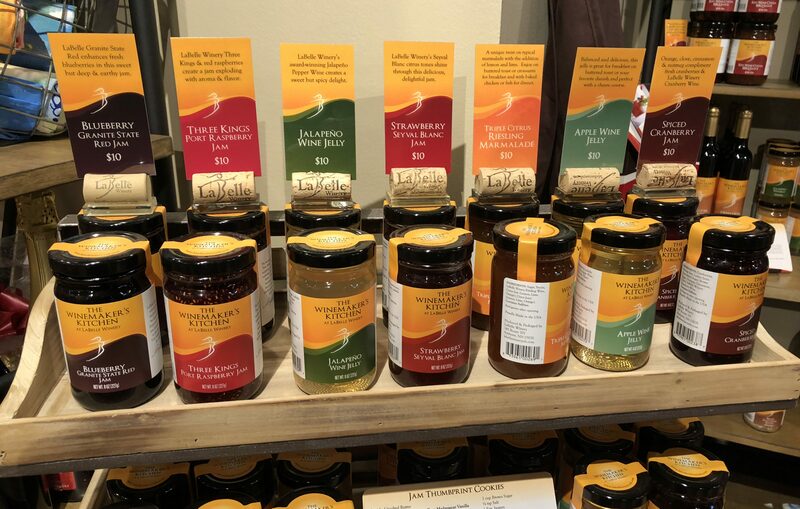 Made for wine drinkers who like regular wines and not sweet fruit wines. Drinks like a light Merlot in body and style, really dry. Megan said it’s a good, easy drinking red with a hint of blueberry. Could see it pairing well with steak and other grilled meats. 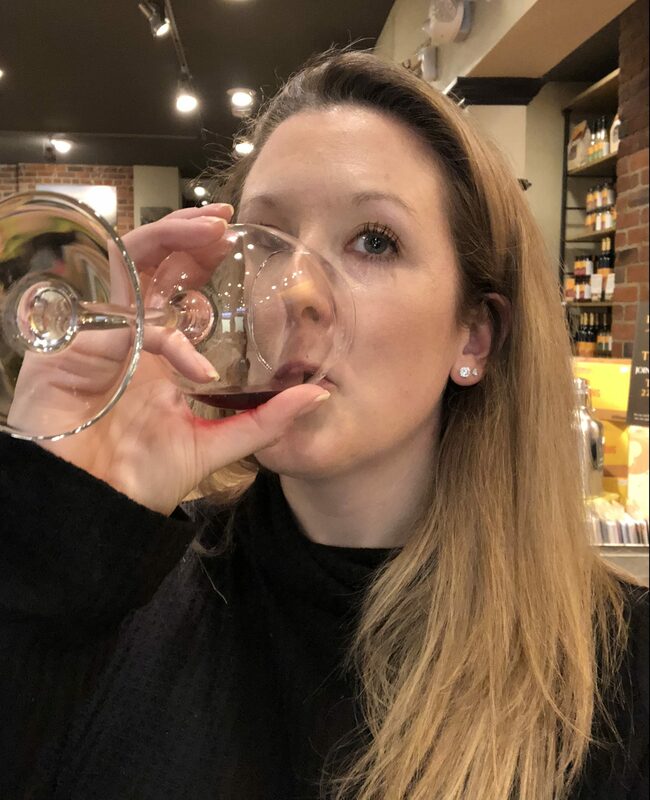 Made with New England grapes, rich in tannins, aged on steel then additional aging in oak, Megan did not like this wine as much. They talked Megan into trying this wine even though she didn’t like the last one. Much different flavor aged all in French Oak, amazing what that can do! This one was really good. Megan really liked this, bold red with strong floral and fruit notes, her kind of rich red wine. A very deep, rich Blueberry flavor, not sweet or syrupy but rich, and very tasty. 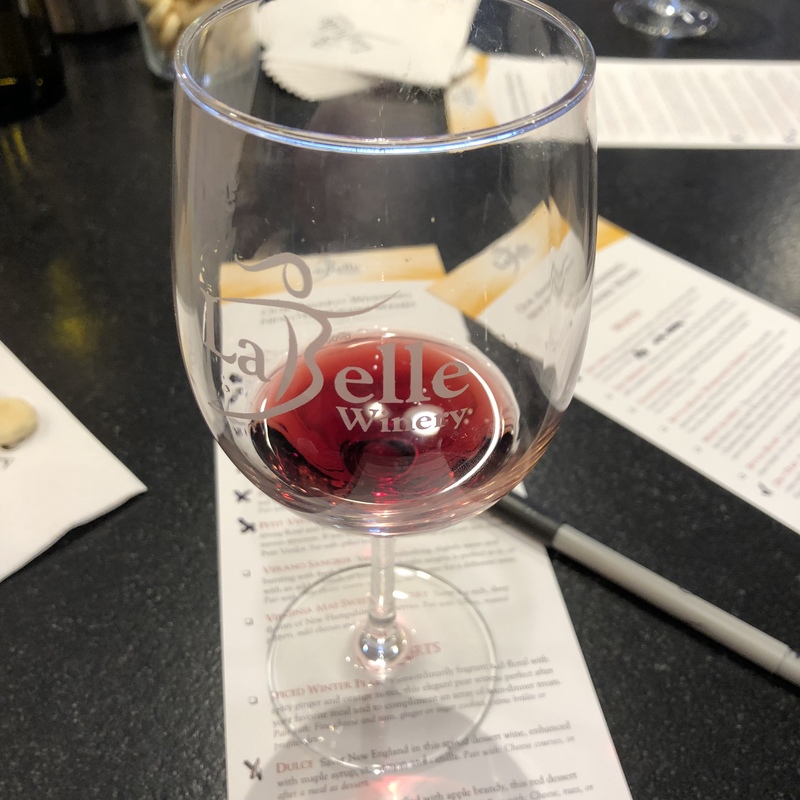 Port style wine, which means it was fortified with Brandy, cherry and chocolate flavors, dark and rich but again not overly sweet which was nice. Sweet dessert red that is balanced out nicely by the acidity from fresh raspberries. Smells like raspberries, sweet and a bit tart. Megan said it tastes like jam. Blend of Blueberry, Red Raspberry and Marchol Foch wines. They have a pretty decent size bar area, that we didn’t get a picture of. 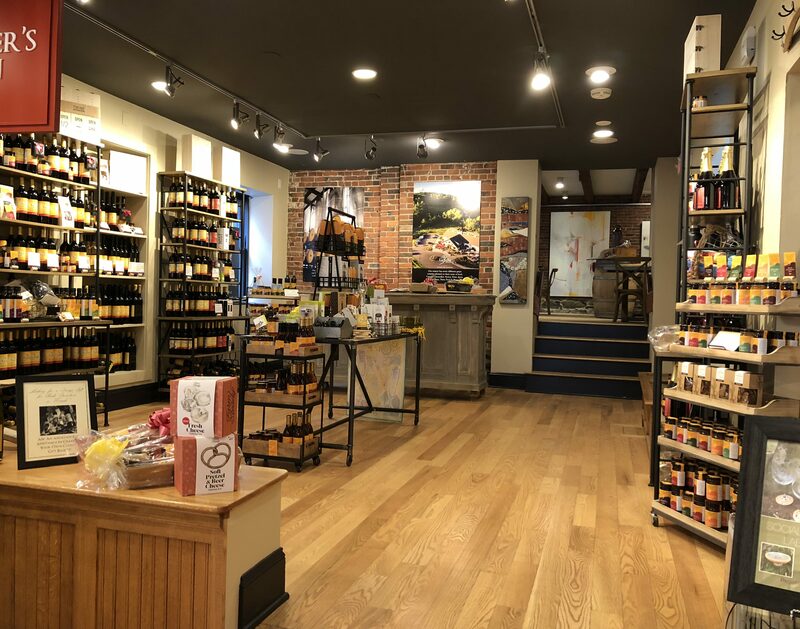 They have a lot of other items in their shop besides wine, but plenty of wine, too!